As always, the Southeastern Conference is loaded with talent — traditional powerhouses like Florida and LSU, but many more top teams in the nation. This year you'll be able to catch a few of these teams, and much more, right here on FloGymnastics. But before we can start watching the meets, let's dive into each team's standing, who they added and lost, and what may be to come in the 2018-2019 season. With the departure of four gymnasts who all competed consistently and scored well, Alabama will need to fill those holes. Brannan was excellent on bars before she got injured and graduated, and Ernst was pretty good on beam, often delivering scores of 9.800 or higher. Guerrero was fantastic on her three events and usually scored at least 9.850. Winston typically competed bars, beam, and floor but sometimes competed in the all-around, showing her reliability and ability to score well. Alabama's newest gymnasts have the potential to fill their shoes, though. Former U.S. elite Emily Gaskins and reigning world championships vault silver medalist Shallon Olsen headline the Tide's freshman class and are exceptional on floor. Olsen is known for her vaulting, and the lovely lines and form Gaskins is known for will also serve her well on uneven bars. Dewalt is training all-around but is best on balance beam, Alabama's lowest-ranking event last season. Givens only trains bars, beam, and floor, but her long lines look great on bars and she exhibits a sense of confidence on beam that's good to have. James is a five-time J.O. National qualifier and three-time Region 7 All-Star, so she has a lot of competitive experience. She's a solid all-arounder, which is beneficial for the Tide. Alabama lost several high-scoring routines from last season, so it may be difficult to replace those, but it has a lot of new gymnasts to help elevate the team and improve upon its results from last year. The Razorbacks look to continue their success from last season where they had one of the best finishes in recent years, jumping nine spots from in the Road to Nationals final rankings. After Bargiacchi, Speed, and Wellick graduated, Arkansas lost seven routines. Hoping to fill in the spots left behind by the graduating class is a group of five freshmen. Derrick was a level 10 gymnast for five years and is a solid all-around gymnast. Beam was her best event as a level 10, but she has clean, solid tumbling that could do well in the NCAA. Elswick, the sister of former Arkansas gymnast Heather Elswick, could certainly make an immediate impact on the rising Arkansas team. She didn't compete much in 2018 but had a superb 2017 season. In 2017, not only did she finish in the top five on vault and beam at J.O. Nationals, but she scored a perfect 10.0 on vault. She's a powerful gymnast who excels on vault and floor but is also a good beam worker. 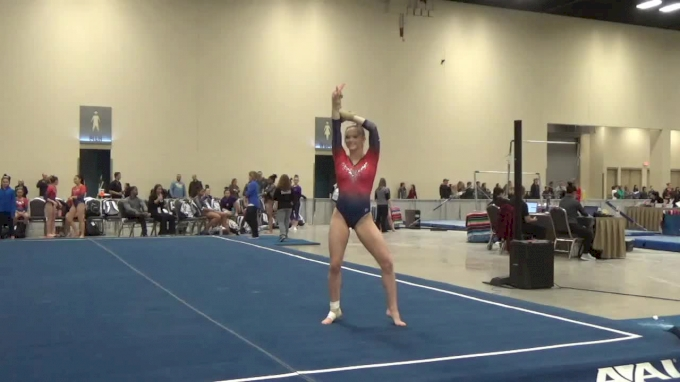 Hambrick of Reflex Gymnastics is a four-time J.O. Nationals qualifier who brings a lot of experience to the Razorbacks. She's a good all-around gymnast and is a contender to fill the all-around spot left by Wellick. Lovett is another four-time J.O. Nationals qualifier in Arkansas' freshman class. She's pretty balanced in her gymnastics with top-10 finishes on bars, beam, and floor at 2016 and 2017 J.O. Nationals. Vault and floor weren't Arkansas' best events last season, but with the addition of Pennese and Elswick, it can add depth to those lineups and improve. 2018 was a solid season for the Auburn Tigers, finishing at No. 14 overall and in the top 25 on all four events, a slight improvement from finishing at No. 15 overall in 2017. Luckily for the Tigers, they lost no routines from the 2018 season despite the graduation of Finister and Stricklin. That means their addition of six freshmen adds depth to a team that is already improving. Cheney of Orlando Metro is a two-time J.O. Nationals qualifier whose good form and powerful tumbling can help the Tigers on floor. Frack is a former elite from Parkettes. She competed elite for two years before returning to level 10, giving her a nice variety of competitive experience. Due to an injury, she hasn't competed since 2016, but she's capable of good gymnastics that make her a solid all-around gymnast. Gobourne is a 2018 Nastia Liukin Cup qualifier and five-time J.O. National qualifier. She's a great, true all-around gymnast with consistent scores across the board. However, she is the reigning J.O., Region 8, and Florida state bars champion and Region 8 and Florida state vault champion. Her club career also ended with a third-place finish at J.O. Nationals, so Auburn has gotten a talented gymnast who can help them anywhere. Schaefer hails from World Class in New York and is another all-around gymnast, but is best on vault ― where she's reigning state champion ― and floor. Another New Yorker joining the Tigers is Schlarbaum. Schlarbaum competed only a few times last season but has consistently done well on beam in her career. Rounding out the freshman class is Wrighte, who is capable of putting up consistent scores on all four events when she hits. Although it hasn't topped the SEC since 2016, Florida has remained in the top three in the SEC and in the top five in the NCAA. The Gators have also done a great job on individual events by finishing in the top five for every apparatus for the past six seasons, showing that Florida knows how to produce high-scoring lineups even when key gymnasts are lost and new ones join. The Gators lost three big names in Baker, McMurtry, and Slocum from last season who all consistently competed in lineups. Baker unfortunately missed the last half of 2018 after a season-ending injury but was especially great on vault and floor. McMurtry is arguably one of the best Gator gymnasts in history and was a reliable and consistent competitor on vault, bars, and beam, getting near perfect scores almost every meet last season. She also delivered on floor in the postseason. Though Slocum was a Gator for only two years, she easily became a vault/floor powerhouse who contributed many scores in the 9.900 range, especially on the tougher-scoring event of vault. So the Gators have the biggest holes on the power events, which their freshman class can certainly fill. A three-time J.O. National qualifier, Clapper also has elite experience and has proven to be a solid all-around gymnast who can put up a good score on any event. She's the reigning Region 5 bars and all-around champion and the reigning Michigan state vault champion. But she finished in the top five on all four events and in the all-around at regionals and state last year. Johnson-Scharpf is a former U.S. National Team member who competed level 10 last year and did extremely well. She scored 9.775 or higher at least once on every apparatus last year and had two top-100 beam scores. What she's best known for, though, is her performance on floor, which will certainly be put to good use in the NCAA. Reed is a two-time J.O. National qualifier who can put up solid scores on each event but shines most on vault and floor, the events the Gators have the most openings on after 2018. At the 2018 J.O. National Championships, Reed finished fourth on vault and floor in the Senior F division. Schoenherr, the reigning J.O. 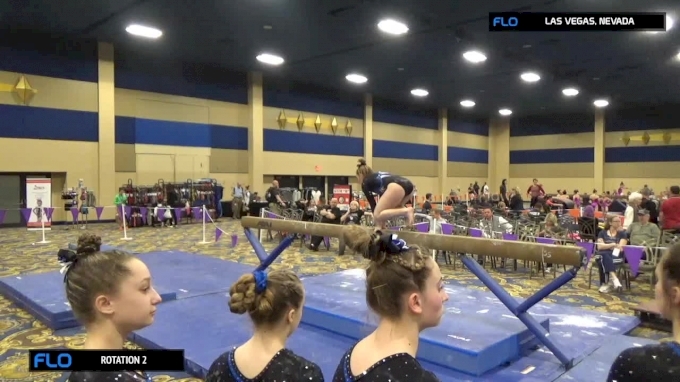 National uneven bars champion, can add depth to Florida's bars lineup but is also capable of contributing good scores on the other three events. Taylor hails from La Fleur's and won't be too far from home at Florida. She is another solid all-arounder who can deliver consistent scores when she hits, but floor and vault tend to be her better events. Last but not least is Thomas, a current U.S. National Team member. Thomas is a powerful gymnast who has some big tumbling but also does well on beam and gets great height on uneven bars. With a big and experienced freshman class that can fill in the holes on the power events, Florida should continue to be a conference title contender. While Georgia lost several gymnasts to graduation, it lost the most with the departure of Arnold, Babalis, Johnson, and Vaculik, who were all consistent competitors. Arnold competed on floor throughout the season and vaulted toward the end of last season. Babalis was a staple in Georgia's beam and floor lineups, usually earning scores in the 9.800 range. Johnson was great for Georgia on vault, scoring mostly in the 9.800-9.900 range, and was solid on bars with scores typically in the 9.700-9.800 range. Vaculik was a reliable bars worker, mostly scoring in the 9.800 range. So Georgia could use a few new routines everywhere, which it certainly can do with a quite large freshman class. Al-Hameed is a three-time J.O. National qualifier who has clean and polished gymnastics on every event. Her lines and toe-point shine on bars, and her tumbling on floor is clean and controlled. Austin is the reigning Region 8 floor champion but can score pretty well on vault and beam as well. Hailing from WOGA, it's no surprise Baumann is a good all-around gymnast but excels on beam. Davis is a former J.O. National floor champion who's capable of putting up consistent and solid scores on all four. Lukacs joins her North Stars teammate, Davis, and is a great all-around gymnast but is simply outstanding on vault. Lukacs has scored a whopping five perfect 10.0s on vault during her club career, three of which came just last year. Magee is a four-time J.O. National qualifier and 2017 Nastia Liukin Cup qualifier who is a solid all-around gymnast when she hits. Perez-Lugones is the reigning Georgia state all-around champion who finished in the top five on vault, bars, and beam and sixth on floor. Roberts is a Canadian elite and was an alternate to the Canadian Olympic squad in 2016. She was fifth on bars at the 2018 Canadian Championships and has medaled multiple times on floor in international competition, including silver at the 2017 Gymnix Cup and bronze at Elite Canada and Jesolo 2016. Ward trained at Orlando Metro and finished in the top 10 at the Florida state championships on vault, bars, and in the all-around. With nine freshmen, the Georgia Bulldogs have a lot of new options to strengthen their team and lineups. The Wildcats lost only a few routines from the graduation of Carlisle and Rechenmacher since Carlisle competed only one event while Rechenmacher began the season competing bars and floor and ended competing beam and floor. But it's still important for the Wildcats to be able to replace those routines and maintain lineup depth if they want to do well in the best gymnastics conference and contend for NCAAs again. After all, NCAAs are no longer going to have 12 teams competing. The Wildcats have four new gymnasts joining their roster to help them stay in the top half of the SEC. Angeny trained at Prestige Gymnastics and is a three-time J.O. National qualifier. She can put up solid scores on every event but has had several top-10 finishes on beam at major meets. Haigis placed in the top 10 on every event and in the all-around at the 2018 Region 5 Championships but tends to do better on beam and floor. At the 2017 Florida state championships, Nixon was in the top five on vault, beam, floor, and in the all-around, but her better and more consistent events are vault and floor. Another Wildcat freshman who excels on vault and floor is Patterson, who trained at Metroplex Gymnastics. At 2018 J.O. Nationals, Patterson was top 10 on vault and floor. She's also a reigning Texas state all-around champion and Region 3 floor champion. LSU had a wonderful 2018 season despite its lowest NCAA Championship finish since 2015. It won another SEC title, made the final Super Six, and finished in the top five on every event. However, LSU has lost five key routines after Hambrick and Macadaeg graduated. Hambrick was a great all-around competitor who often scored at least a 9.900 on every apparatus. Macadaeg competed vault a few times and vault once last season but was such a steady and reliable balance beam lead-off gymnast. Unlike other SEC schools, LSU's freshman class isn't very big, so it will look both to its new gymnasts and also current ones to fill the void. D'Antonio is a Louisiana native who qualified to 2018 J.O. Nationals but had her best meet of the year at Region 8 Championships where she finished in the top 10 across the board. She can put up consistent scores on every event to push the gymnasts in lineups and add depth to a smaller team. After experiencing some NCAA training and polish, D'Antonio could end up having her best gymnastics happen in college like Hambrick. Come 2019, Ferrer, a former elite, will join D'Antonio in the Tigers' freshman class. Head coach DD Breaux expects Ferrer to make an immediate impact on vault and floor, where she excels, and possibly bars. So Ferrer is an important addition to the Tigers as she has the potential to fill the spots left open by Hambrick. The Tigers still have a spot to fill on beam, though, but experienced gymnasts like Bridget Dean, Sami Durante, and Ruby Harrold can contend for places in that lineup. In addition, the Tigers are welcoming McKenna Kelley back from her Achilles injury, and she is expected to return to vault, beam, and floor. So while the Tigers may be lacking some depth after losing Hambrick and Macadaeg, the return of Kelley and addition of D'Antonio and Ferrer will only help them in their quest to keep the SEC title. Missouri finished at the bottom of the SEC last season and with its lowest national ranking since 2015. But Missouri has made a lot of progress since finishing the 2014 season outside the top 25 at No. 41. If the Tigers want to keep improving and move up the SEC rankings, though, they will have to fill in holes on all four events left by gymnasts who've graduated. Albritten was a solid and consistent bars and beam competitor. Harris was a solid vaulter and a good floor competitor, often earning FX scores in the 9.800-9.900 range. Miller was a staple in the vault and bars lineups and provided depth on floor, where she sometimes competed last season. Missouri's got a great trio of freshmen to help them, though. Bidwill is a reigning Region 1 and Arizona state vault champion. She's strong on the leg events but can contribute good scores on bars and beam as well. Cotner is a reigning bars, beam, floor, and all-around Hawaii state champion who is solid on those three events. McCrary is a 2017 J.O. National qualifier and was top 10 at the 2018 Region 8 Championships on vault and floor, so she's another gymnast who excels on the power events, which is good for the Tigers since they lost Miller and Harris' floor routines. Don't forget to tune into the action live right here on FloGymnastics this season.